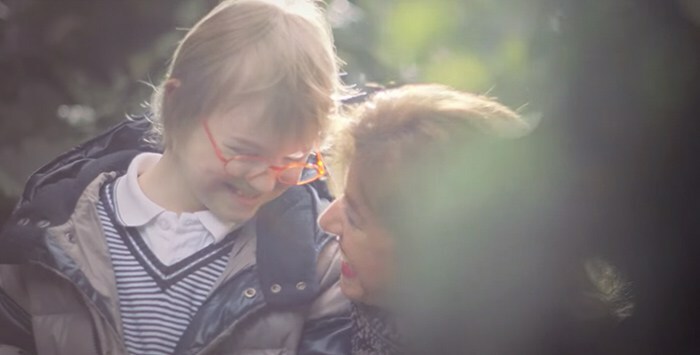 A few weeks ago, an ad featuring happy children with Down Syndrome was banned by the French government, because of concerns that the ad might upset women who had aborted their children due a Down Syndrome prenatal diagnosis. Sadly, abortion is a common response to a Down Syndrome prenatal diagnosis, as high as 90% of these pregnancies ending in abortion. But by choosing to censor the ad, France is not only denying people with Down Syndrome the opportunity to show their personal worth and value but also denying women the truth of the humanity of the child they aborted. When women are unable to face the truth, they cannot cope with the many painful feelings and regrets after their abortions. And if they cannot cope with their feelings, they will never be able to find healing and peace. In response to the blocking of the ad, blog author Julie Roys invited Silent No More Chicago Regional Coordinator Nancy Kreuzer to share her story of her abortion after a prenatal Down Syndrome diagnosis, her healing, and why she supported the showing of this ad. To read Nancy’s post, visit Julie Roys blog. Nancy Kreuzer serves as the Chicago regional coordinator for the Silent No More Awareness Campaign, a non-denominational Christian organization and a joint project of Priests for Life and Anglicans for Life. Nancy resides in Glen Ellyn, IL, is married, and has two grown children. She can be reached at: Chicago at silentnomoreawareness.org. This entry was posted on Wednesday, December 7th, 2016 at 4:57 pm	and is filed under Uncategorized. You can follow any responses to this entry through the RSS 2.0 feed. You can leave a response, or trackback from your own site.